It is never too early to prepare your wedding! Although there are several months to enter official autumn season, I can say fall brides-to-be have prepared their weddings from early on. 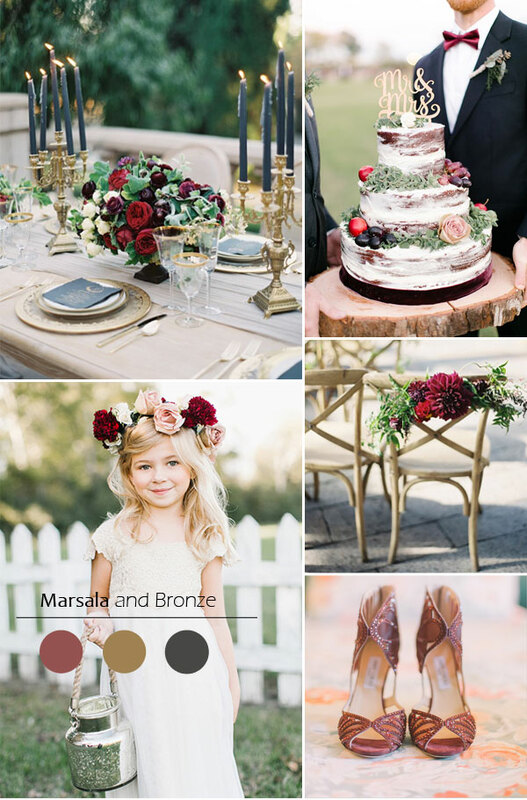 As one of the first things need to be certain, I know you may have chosen the wedding colors since so many color experts like Pantone always provide the latest and most popular wedding colors for brides (click here to check out Pantone inspired fall wedding colors 2015 if you like), but if you still hesitate in what color combo to choose, read this post and get some inspiration. 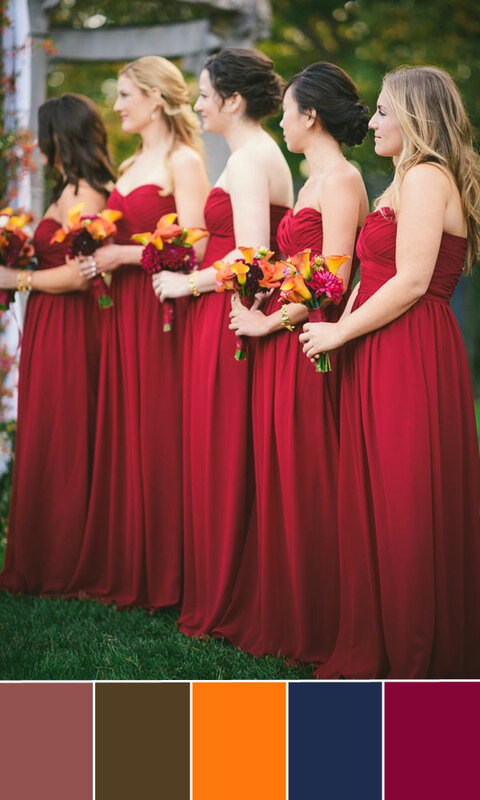 As the color of year, Marsala will never get you down in this fall. How about using it with bronze? Just have a try! 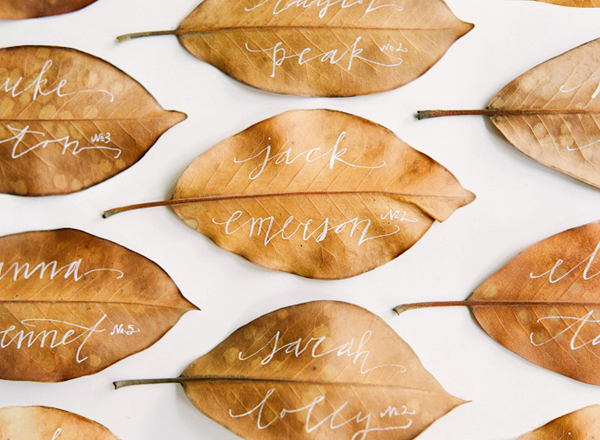 It is my first choice of fall wedding scheme. What’s yours? Get something blue for your wedding and make the wedding color combo softer with blush. 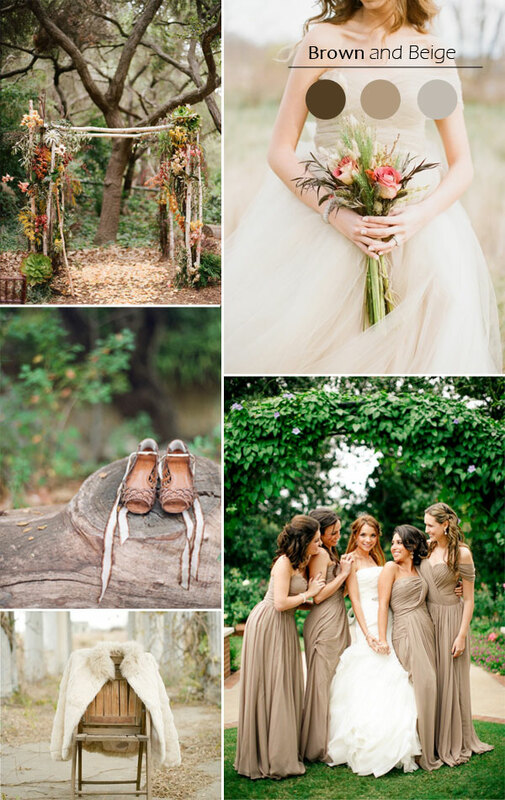 Who would miss shades of orange for autumn weddings? 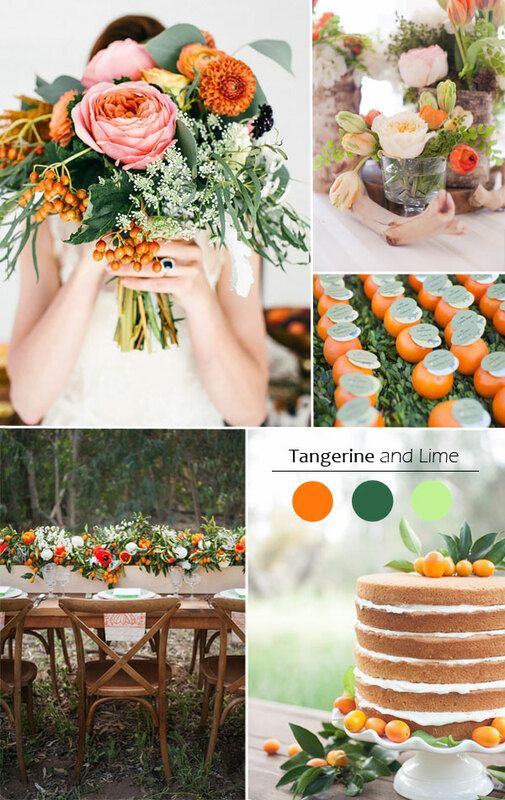 Tangerine will definitely leave a great impression on your big day! 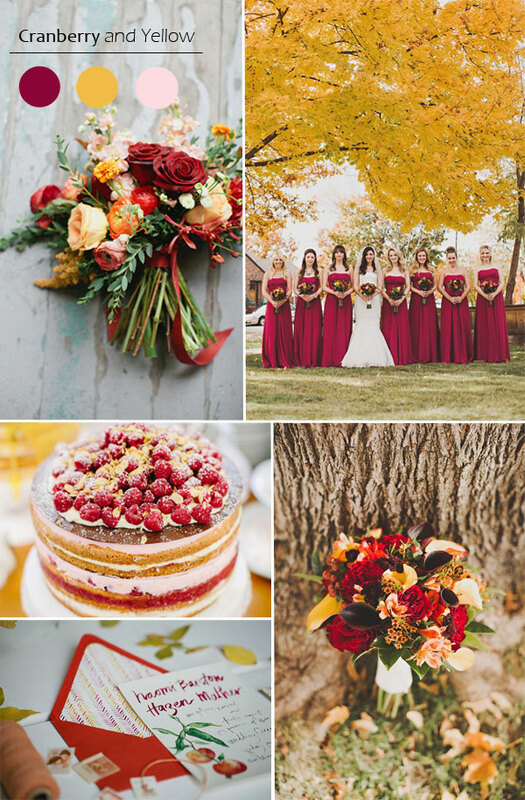 As a dark color, cranberry is one of the most used and popular shades in fall weddings and this year will continue the trend. 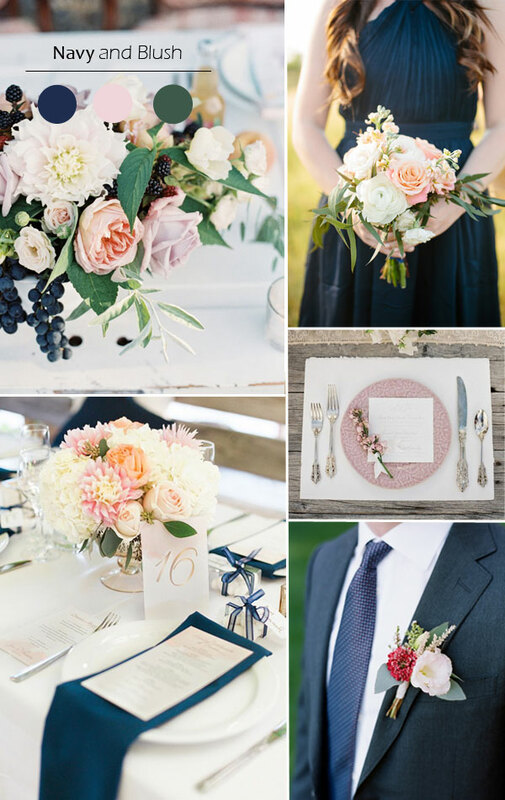 Awesome Color combo…..Just loved that Navy and Blush !